Cape Town Tourisms latest newsletter has advised that the Cape Town Stadium Visitor Centre was recently opened to the public on December 28, 2011. This 64 000-capacity, world-renowned stadium, which hosted nine matches for the 2010 Fifa World Cup™, is a must-see attraction for families, local and international tourists, sport enthusiasts and those who appreciate architectural feats. The City of Cape Town has designed a special tour where visitors are guided through the hallways of the stadium to the players’ change rooms, the on-site police cells and the VIP hospitality areas. Sport lovers will also get the chance to “run onto the field” as they are granted the opportunity to see the world-class pitch up close. Visitors to Cape Town Stadium can also explore the Biodiversity Showcase Garden located in the adjacent Green Point Park. It features over 300 plant species from the greater Cape Town region, as well as themed areas and displays including “Gardening for Biodiversity”, “Everything is Connected”, a Khoikhoi food garden, medicinal plants and a display of veld types. Visitors are led through three fascinating biodiversity-themed areas focusing on people and plants, a biodiversity discovery trail, and a wetland walk. 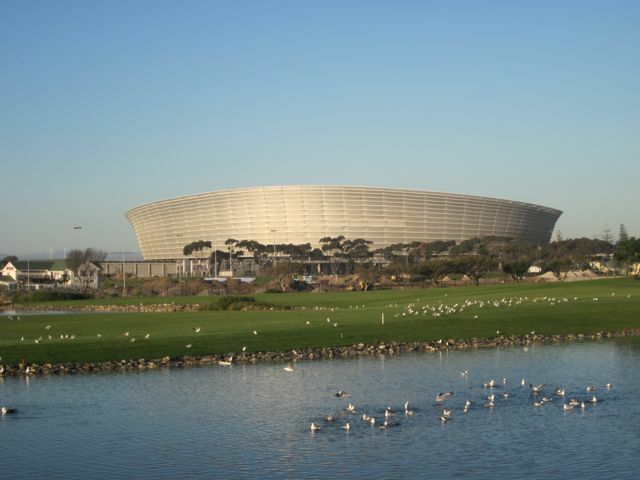 Tickets for the guided tours of the stadium and the Biodiversity Showcase Garden are available from the Cape Town Stadium ticket office, situated on Fritz Sonnenberg Road, Green Point. Tours commence daily from Tuesday to Saturday at 10h00, 12h00 and 14h00. Cape Town Visitor Information, The Cape for kids and families!